This article is based on the video by Ajahn Brahm titled “Dealing with Difficult People”. There is a link to this video in the ‘recommended’ menu of our website, www.kriyayogamalaysia.org. Initially, the title of this article was ‘Dealing with Difficult People’. However, I felt uncomfortable with this because the title creates the impression that the problem lies entirely with the other person without any fault on our part. This is not true and that is why I changed the title to ‘Accepting Difficult People’. Whenever we are faced with a difficult person, there are two aspects to it. The first aspect is the problem presented by the other person. The second aspect is our reaction towards the other person. We cannot control the first aspect. There will always be difficult people in our life and we cannot avoid them forever. But, we can control the second aspect; our reaction towards the difficult person. To explain this second aspect, it would be useful to consider Swami Rama’s definition of a ‘Seer’. He explained that a Seer is a person who sees reality as it is without ego-involvement. He sees something clearly because he is not affected by it. 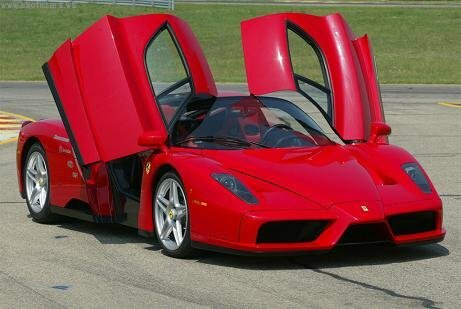 For example, when a normal person sees a car he desires, craving would arise within him. Because he is not able to afford the car, he will feel discontented with what he already has. He sees only the positive things about the car and not the problems that it would bring such as the higher maintenance cost and the risk of theft. If the car is desirable to him, it would be desirable to others as well. On the other hand, a Seer sees the car clearly. He sees both the positive and negative points of owning that car. He appreciates the beauty of the car, and stops there. No desire or discontentment arises within him. When a Seer meets with a difficult person, there is no aversion. Swami Rama advised that to attain the state of a Seer, One must be determined not to be affected by sense objects. One is determined not to be attracted to or be adverse to anything. There is equanimity. However, determination needs discipline and wisdom. We must see that nothing is entirely good or bad. The great Indian Sage, Shantideva, taught that we should appreciate our enemies because they allow us to practice patience. We can only learn through suffering. Suffering inspires us to search for self-realisation. The Tibetan Buddhist believe that above the human realm, is the gods’ realm where the consciousness of the beings there are more advanced. There is no suffering in that realm. However, given a choice, the Tibetan Buddhists prefers to be reborn in the human realm because in the gods’ realm, life is too beautiful. Because there is no suffering, one born there would not strive for enlightenment. One would just waste time enjoying one’s life there and move from one activity to another. What I want to emphasise about the previous paragraph is the Tibetan Buddhist’s view of the importance of suffering to lead one to seek enlightenment. It does not matter whether the gods’ realm really exist. If we can at least see that these difficult people can also bring some benefit to us, we will not begrudge them so much. We are not Seers. So, the difficult people will inevitably cause some negative emotions within us. These people may be important to us. They may be our spouse, parent, boss etc. We cannot just run away and avoid them. But, whenever they cause a negative emotion to arise within us, we can surrender that negative emotion to the Divine. We do this by resting in the gap between thoughts and observing the emotion. We have discussed this technique in the chapter ‘Practicing Awareness’ in my book ‘We are Here to Celebrate’ which can be downloaded from the website. So, I will not go into it here. Whenever, we observe the negative emotion, we are effectively surrendering that emotion to the Divinity within us. The light of our awareness will engulf that emotion and it will fade. The Divine will then lead us to the solution of our problem with wise insights that arise from within us. The Divine is always there for us and always knows the appropriate medicine to give us. Ajahn Brahm was once invited to give a talk at a Mental Institution. He said that people suffering from insanity alternates between periods of sanity and insanity. He advised the doctors and nurses there to focus their attention on those periods when the patients are sane instead of when they are insane. Later, a doctor told him that what he advised them to do is actually a new breakthrough that the medical fraternity has just discovered. By focusing on the periods when the patients are sane, they found that those periods of sanity becomes longer and longer. Medical science has just discovered the wisdom the Buddha taught thousands of years ago. To understand how this works, we must understand that our thoughts are energy. Whenever we have negative thoughts of a person, we are sending negative energy towards the other person. He will pick it up at the sub-conscious level and begin to harbour negative thoughts of us; thus sending negative energy towards us in a vicious cycle. This is the other side of the coin of the popular ‘Law of Attraction’. What we can do is be thankful to them because they are helping us to learn patience. We can also develop compassion for them. If they are grouchy or have a negative frame of mind, we can learn to see that they do not want to be such but cannot help being so. Over a long period of time, they have been conditioned to be the way they are. They are that way not to spike us. They are that way because they cannot help it. We can also see that the person is being difficult to us because of some past karmic connection. If we do not want that cycle to continue, we must be determined not to react in a negative manner. Instead, we should pray for them. I need to emphasise this because it is a very powerful technique. We must pray for those who make our life difficult. We should send them loving kindness by thinking about them and praying, “May X be happy and may X be free from suffering”. When we do that, our attitude towards the person gradually changes from anger and hatred, to compassion and kindness. 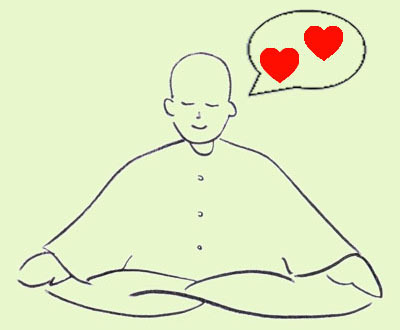 In the Chakra Self-Healing Seminar, Rudra Shivananda teaches a technique that involves developing love for those we hate. The Chakra Self-Healing techniques were taught to Rudra by the Mahavatar Babaji. Many students shared with him that the practice resulted in significant positive changes to the attitudes of the difficult persons in their life. The rule is simple; when we change ourselves, our world will change as well. Finally, if we need to talk to the difficult person in order to help that person, Ajahn Brahm advised us to use the ‘Sandwich Technique’. First praise the positive traits of the person and then tell him about his negative habit. After that, praise him again. This is a practical wisdom and is not meant to be manipulative. When we praise another, we are focusing on his positive traits. Whatever anger that is within us will fade away when we start thinking about his positive traits. We will then be approaching the other person with a positive frame of mind and will not be radiating any negative energy. The person will not become defensive and there will be a better chance that he will make the effort to change. If we love everyone, we will not have any enemy. Dear Brother Desmond,when you changed the title from”Dealing with difficult people”to”Accepting Difficult People”,I instantly knew you have Divine Guidance. The answer as to how to accept difficult people is in your new title itself.There is Divine Knowledge in every of your articles,all put in simple words that anyone can comprehend.Thank You.I Bow To The Divine Within You. Bro Desmond you have given me a shortcut to find peace.TQ. Thank you for your kind words. It is the greatest reward any writer can hope to get.